Here's a real close up of the pinwheel from the Stampin' Addicts' Parade of Papers Blog Hop from last weekend. 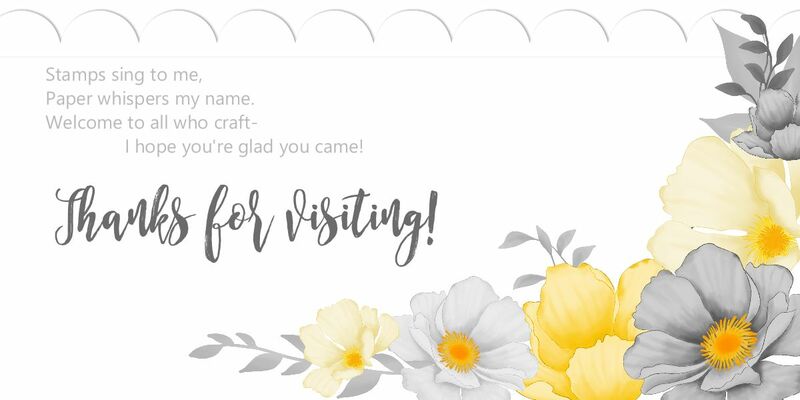 I have had MANY requests for this, so here you go!This is a quick and easy “faux” pinwheel that will WOW your card recipients. This is the perfect way to use up little leftover pieces of DSP--you only need four squares of any one pattern. 1. Punch out nine squares, four each of two different papers, plus one extra. 2. Arrange four of the same colored squares into a square grid (fig. 1). 3. Glue the extra square down right in the middle of the grid, using a glue stick (fig. 2). 4. Turn the piece over so that extra square is on the back side. 6. When all four squares have been inserted, use the SNAIL to glue them in place (fig. 4). Attach a brad or a button in the center of the points. 7. Adhere to a card! This looks especially cute when done with our Designer Series “prints” papers all in the same shade. It looks like it’s made of fabric—add a little faux stitching for an extra adorable touch. That is so cool. Thanks for directions! It certaintly would impress anyone who receives that card! Great card Lyssa! Thanks for posting directions. I tried my hand at it tonight with some colors I saw on some summer shoes that I wanted to make a card with. Check out my blog tomorrow to see it! Love, love, love it!!! So much, in fact, that I've already CASEd it and put it on my blog. Thanks for sharing your fun technique!!! PS just dropped by to browse your blog - glad I did!